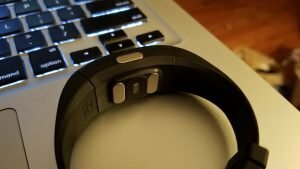 The Tom Tony P3 ECG fitness tracker is a watch that measures blood pressure and that was the main reason why I chose to review it. 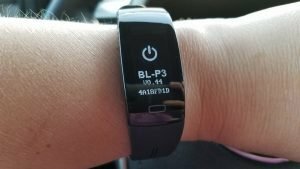 While there are many fitness trackers that claim to measure blood pressure I chose the P3 because I previously tested another Tom Tony watch that did a fairly good job with blood pressure but the P3 is a big improvement. In my testing the blood pressure estimates were close to the results I got from two FDA-approved blood pressure monitors. Tip: The P3 ECG watch is also sold under different brand names. If the Tom Tony is unavailable you can also check this P3 fitness tracker out. It’s the same thing and also available in several color options. 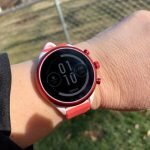 There have been a few watches that I’ve reviewed that have blood pressure monitoring but most of them have been inaccurate and disappointing. 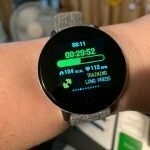 By far one of the most popular subjects on The Journier has been blood pressure watches so I know there’s a great deal of interest in them, so I’ve been trying to find one to recommend. 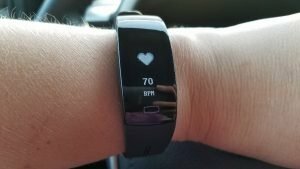 Omron is currently going through the FDA approval process for their blood pressure watch which features an inflatable cuff in its wrist band. This is a watch that I will certainly be reviewing when it is released. Apple has also shown interest in developing a watch that can accurately measure blood pressure, according to some reports. 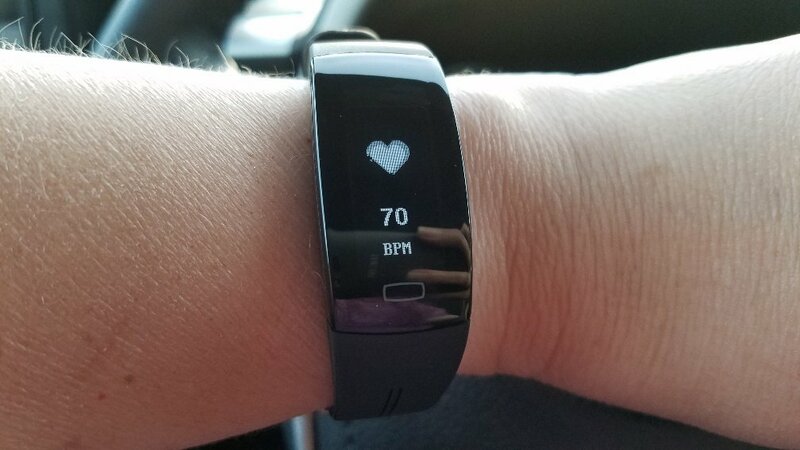 Obviously, there’s a big demand for a smartwatch that can accurately measure blood pressure since so many people need to monitor their heart health. 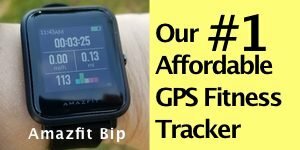 I think we’ll be seeing a FDA approved watch fairly soon but until then the only fitness trackers that I’ve seen that offer blood pressure monitoring come from foreign markets, since they don’t have to obtain FDA approval. Of course, since they haven’t gone through the FDA process, they can’t claim to be medical devices and their accuracy hasn’t gone through extensive testing. So keep that in mind because that may be important. 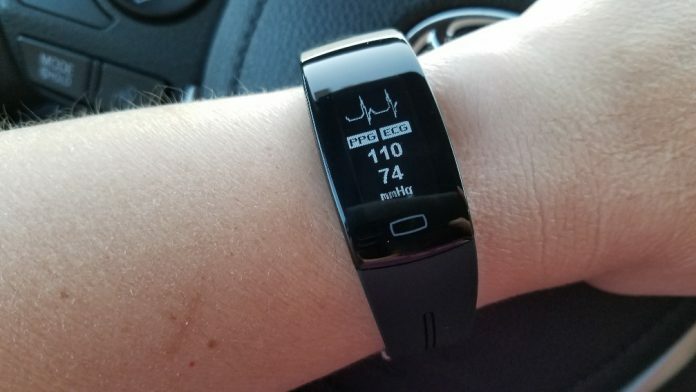 The watch I’m reviewing in this article, the Tom Tony P3 ECG watch, is not FDA-approved so make sure you still have your FDA approved home blood pressure monitors handy to keep an eye on your blood pressure and ensure the accuracy of any watch you may choose. 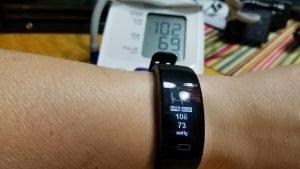 For the Tom Tony P3 fitness tracker, I compared its’ results versus two blood pressure monitors, both from Omron. One is a wrist blood pressure monitor and the other uses the more traditional upper arm cuff. Whatever blood pressure monitor you choose, it’s a very good idea to take it to your doctor’s office and have its results verified and of course follow your doctor’s advice for managing your blood pressure. And as a disclaimer, I’m not a doctor and I’m not offering medical advice. I just review fitness trackers and I’m someone who has to watch her blood pressure too since I’ve had high blood pressure in the past. Below are the tests results between the Tom Tony P3 and two different Omron blood pressure monitors. I’ll just state right off that I’m happy with the performance of the Tomy Tony P3. 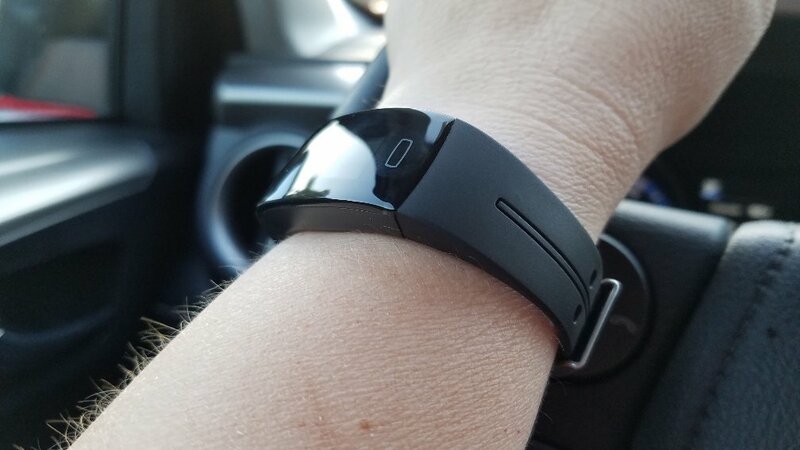 A couple things I noticed when running the tests is that I often felt a tinge of anxiety when the cuff got tight on my wrist or arm with both Omron units. I think it’s a bit of that “white coat syndrome” that causes people to have elevated blood pressure when visiting a doctor’s office or hospital. With the watch, it was a very pleasant experience since there’s no weird sounds or an uncomfortable tightness. I didn’t feel any anxiety during the test like I did with the cuffs. I’d love to see peer-reviewed studies on this because I certainly noticed the difference in how a felt between the two different methods of measuring my blood pressure. Another thing that I noticed with the wrist monitor was that the readings were very dependent depending upon where it was placed on my wrist and how tight the cuff was. While placement and tightness also mattered for the arm cuff and the watch, it seemed to matter more with the wrist blood pressure monitor. In the table below you can see that the first few results I obtained from the wrist blood pressure monitor were quite a bit higher than the watch. 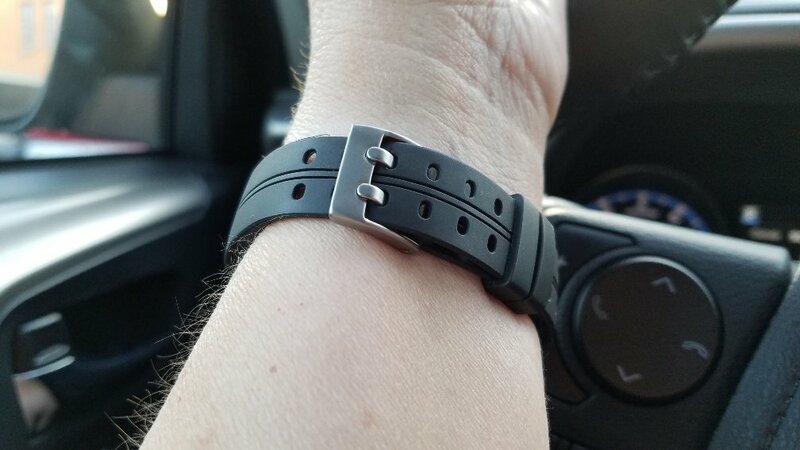 Once I moved the cuff down about a half-an-inch more below my wrist bone the results between the watch and the wrist monitor were much closer. 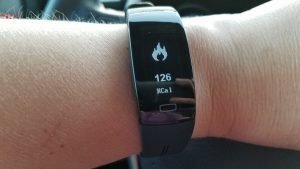 The bottom line is that I didn’t get any outlandish results from the watch and unlike other blood pressure watches that I’ve tested, I got more varied results, indicating to me that it’s able to detect blood pressure changes with more sensitivity. The other watches I’ve tested usually give me pretty much the same results within 1-3 points over and over again which isn’t realistic. Blood pressure isn’t static. It can vary quite a bit. Even with cuff blood pressure monitors, tests taken just a couple minutes apart can vary by 10 points or more, at least in my results. Also, I want to point out that the tests between the watch and the two different cuff monitors were not run simultaneously. There was a 1-2 minute difference between each set of results. This was because it wasn’t possible to perform a test of the watch and one of the cuff blood pressure monitors at exactly the same time. With the watch I had to place my elbow on a table, holding my wrist at heart-level and then use my other hand to place my index finger on the third sensor. Obviously, I wouldn’t be able to run the Omron blood pressure monitors at the same exact time since they constrict blood flow and plus my arm would need to be positioned correctly for them as well. Anyway, here are the results. *Whenever I got a result that was significantly different I immediately retested and as you can see the results between two tests only a minute apart can be very different. So, I am very happy with the blood pressure readings I got from the Tom Tony P3 fitness tracker. So far, it’s given me the most accurate readings from a fitness tracker that measures blood pressure. 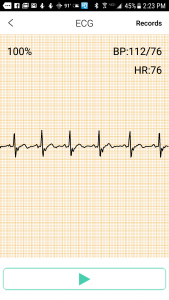 Another feature of the Tom Tony P3 is that through the app it is able to record your heart rhythm and store the data. You could show these results to a doctor but it would be preferable if they could be exported to a PDF file or something similar. There’s also no feedback given on the results. 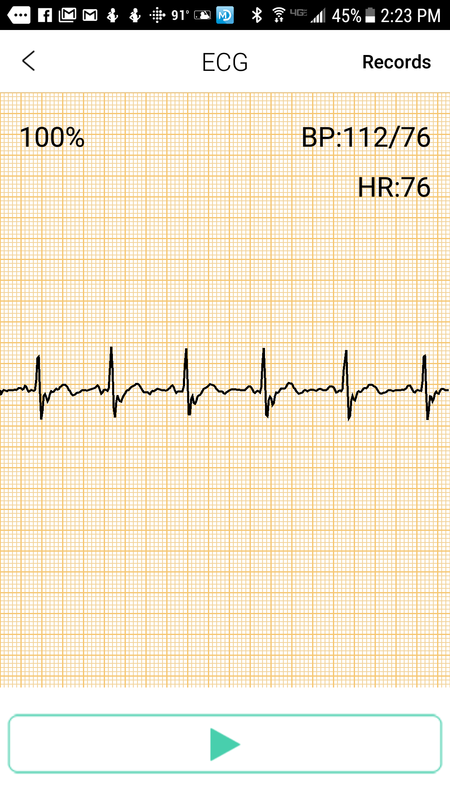 The ECG doesn’t indicate if it shows anything abnormal but that’s probably a good thing since it isn’t approved as a medical device. Still, when I ran the test, it appeared to perform well but without clinical testing I can’t say for certain how accurate the ECG readings are. I can’t give a grade on this feature since I didn’t have any way to test its’ accuracy. 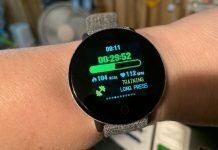 In my test versus the Garmin Fenix 5s, the heart rate sensor performed well. At times it fell behind a bit but was quick to lock onto accurate heart rate readings. With the P3, you’re able to have your resting heart rate measured at different time intervals. 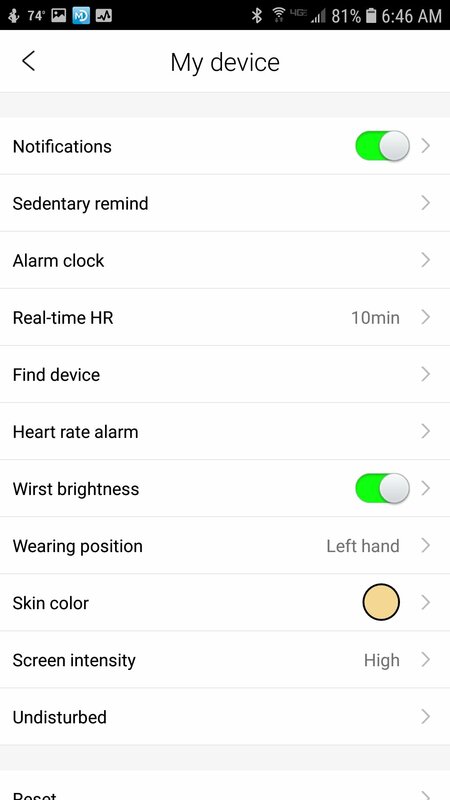 You can disable the feature entirely or have the watch measure your heart rate once every 10 minutes 24/7 and this data is synced to the app. 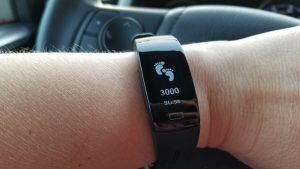 The data was on par with what I got from the Fenix 5s and the Fitbit Versa, so I believe it performed well. The Tom Tony P3 only supports walking and running as activities and this can be done on the watch itself or through the app. 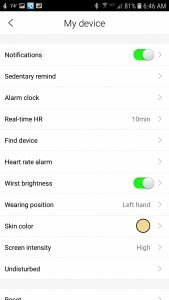 If you use the app, GPS from your phone and the heart rate sensor on the watch will be used to track your activity. 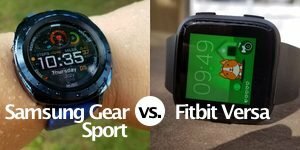 If the activity is started on the watch, the activity isn’t synced to the app which I’d like to see changed. During a walk in my neighborhood in which I used the running feature in the app, the results compared versus the Sunnto Spartan Trainer WHR for distance was close and the map that was drawn from my walk was accurate. However, the map itself didn’t show any street names or topographical detail. 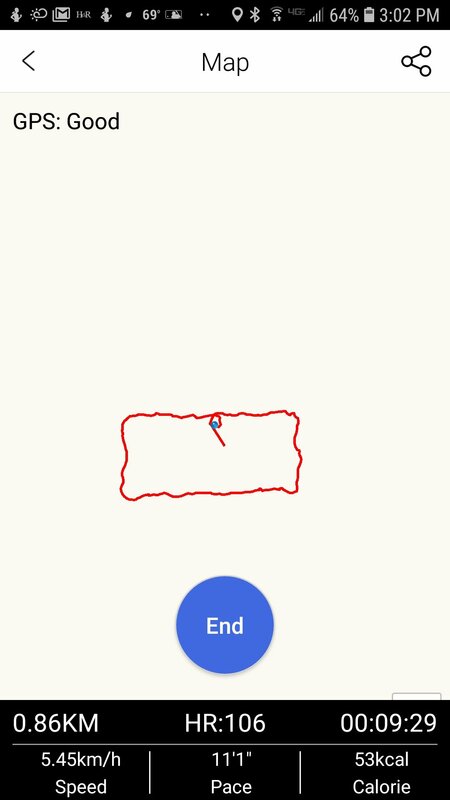 That part of the app needs some work but it did trace out my route well. Step tracking was always fairly accurate for me. It didn’t miss many steps nor count excessive false ones. 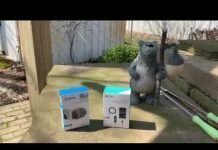 I had the P3 paired with my Samsung Galaxy S7 which is about on its last leg. I’m going to have to upgrade to a S9 very soon but still notifications came through reliably and only one time did I have to reconnect the Bluetooth but not since the phone upgraded to Android Oreo. 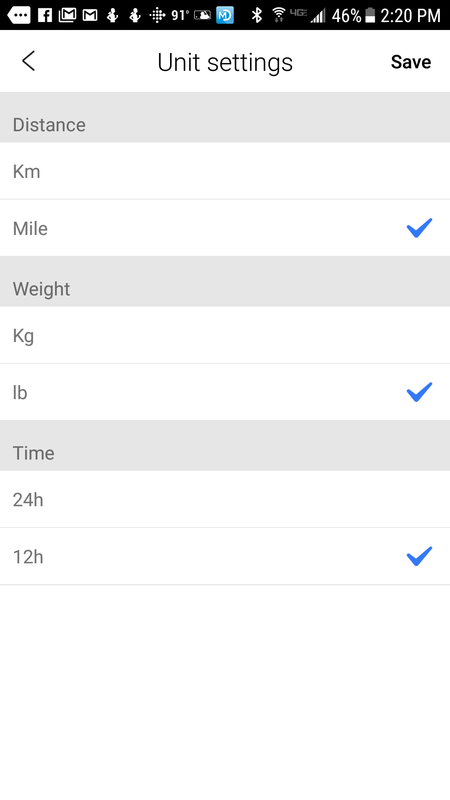 Text messages are not shown in their full entirety on the watch, unless the message is short but you do see a preview and who the message is from as long as they are in your phone’s contact list. Facebook notifications also came through reliably. 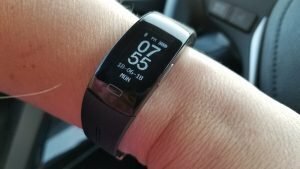 For me, I think I could squeak out 5 days between charging the watch and that was with quite a bit of blood pressure tests and a few workouts. I think you should be able to easily get 4 days with fairly heavy usage. To charge the battery, one of the straps has to be removed and then you can plug the charging end into any USB port. It charges very quickly. I didn’t time it but it sure didn’t take long. 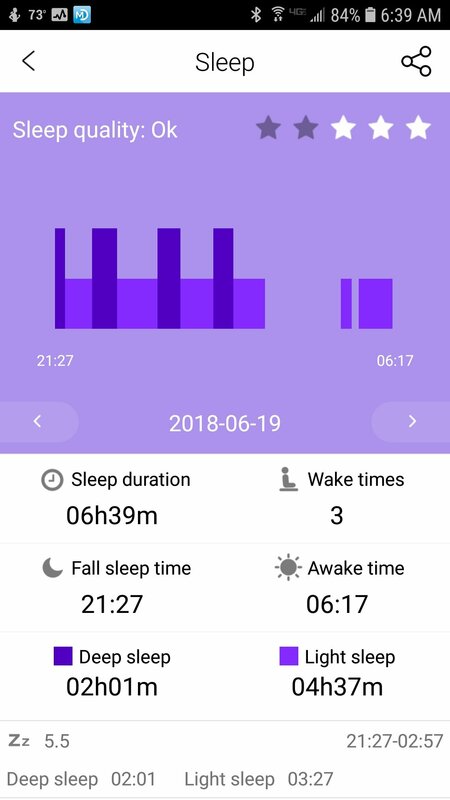 I was impressed by how well it did with sleep tracking. 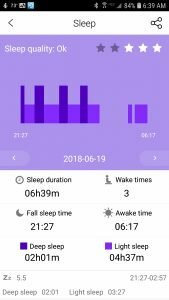 Many times with more inexpensive fitness trackers sleep tracking is a bit basic but this was smart enough to know when I woke up and fell back to sleep. I think it did a very good job estimating the amount of time I slept. The app worked well for me. Only one time did the watch become disconnected by reconnecting it wasn’t any trouble. It synced reliably and their are graphical displays of your steps, heart rate, any blood pressure readings you’ve done. and sleep tracking. 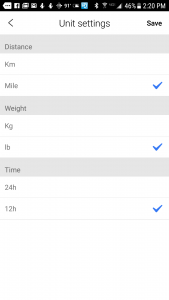 By far the most intriguing aspect of this fitness tracker is the way that it measures blood pressure. It uses 3 electrodes. Two of the electrodes are on opposite sides of the heart rate sensor which presses against your wrist. The third sensor is on the right side of the watch. 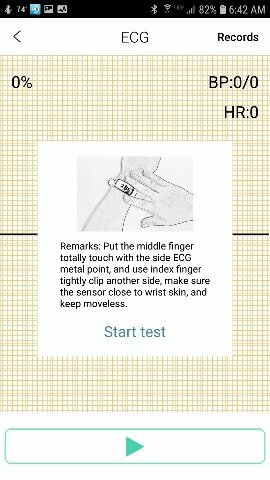 In order to test your blood pressure, you have to have a finger against the third sensor as well. This creates an electrical circuit of sorts that enables ECG readings and apparently more accurate blood pressure readings. 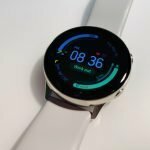 If you are looking for a watch that appears to measure blood pressure accurately, this one is worth taking a look at. Of course, you’ll want to compare its results versus a medically approved device. Also, make sure to follow the instructions to properly measure your blood pressure with the watch. It does make a difference. Overall, I’m pleased with the performance and I’ll continue to test it periodically to ensure it continues to function well. 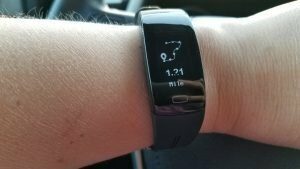 The Tom Tony P3 ECG Watch is the first fitness tracker that I've tested with blood pressure monitoring to test well against medically approved blood pressure monitors. The watch itself seems to function very well, although the app could use some work. Some of the translations to English could use some tweaking and it would be preferable to be able to export ECG readings to a file format. 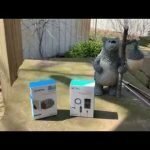 The Journier provides reviews and news for wearable tech, (fitness trackers & smartwatches primarily) and also hiking and outdoor gear. Also find how-to tips, the latest research in health & fitness tracking, and more. © The Journier. 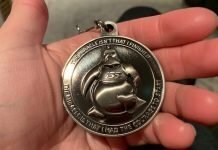 The Journier is a participant in the Amazon Services LLC Associates Program, an affiliate advertising program designed to provide a means for us to earn fees by linking to Amazon.com and affiliated sites. 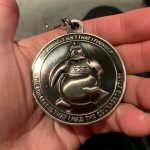 We may earn a small commission from sales generated from Amazon product links and Amazon banners. The Journier is also an affiliate for Walmart, Gander Outdoors, New Balance, Best Buy, Target and Camping World and may receive a small commission at no extra cost to you from sales generated by our affiliate links.